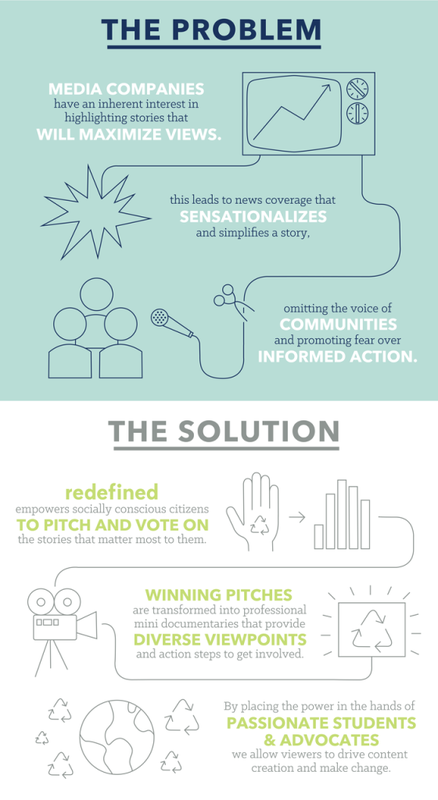 Redefined is a Crowdsourcing Platform for journalism which allows the audience to pick the topics for documentary movies. In February 2015 they are using Crowdfunding on Kickstarter. RedefinedFilms.org is a social action media website that shifts the media paradigm by changing the way content is driven.